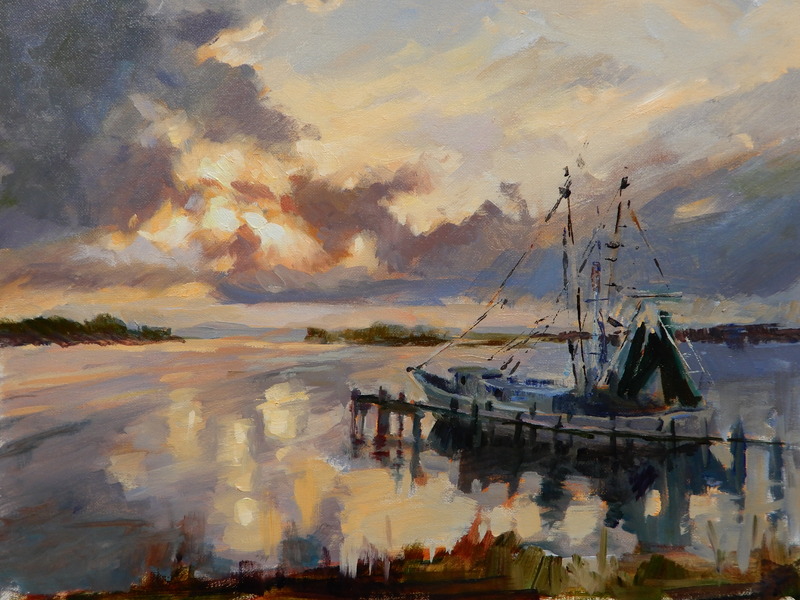 Established South Carolina artist, Jennifer Black, is inspired by the unique Lowcountry subjects that surround her. Drawing since age 8, Jennifer was already receiving art commissions while in high school. Free-lance art also helped pay her way through college with a degree in Art from Florida State University. To challenge and supplement her understanding of painting, she has studied extensively with distinguished international and national artists. In 2008, Paint America selected Jennifer’s painting “Rosey Spoonbill” as a finalist in the Paint the Parks national competition. 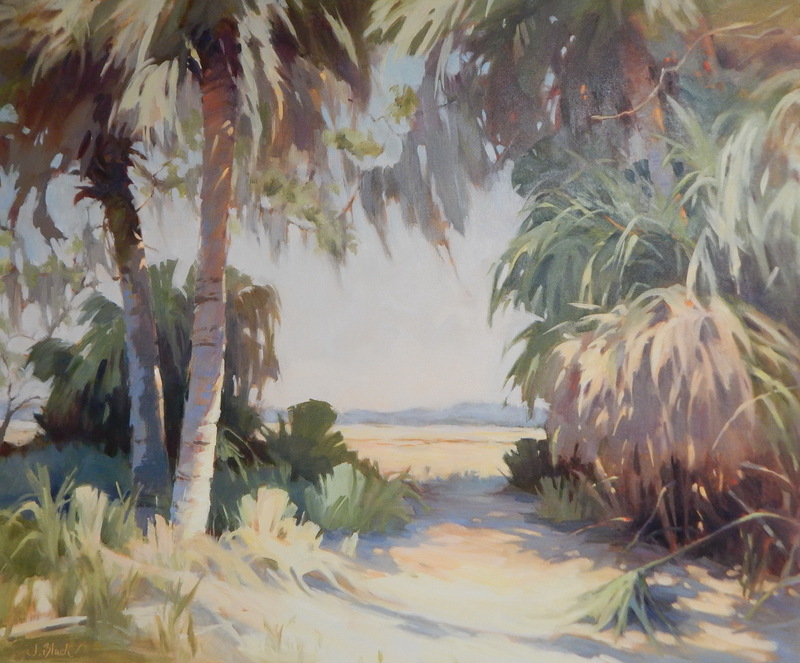 Additionally, Jennifer has won several awards in the Piccolo Spoleto Outdoor Art Exhibition including top honors with the prestigious Mayor’s Award. Other principal competition awards include the top places in the North Charleston Arts Festival, Folly Beach Festival of Arts, the Charleston Artists Guild Signature Show, and the First Federal Charleston Arts Show. “The way light falls on objects is what fascinates me and is what I look for when choosing a subject. I am not a perfectionist or a slave to detail; instead, I prefer to capture the spirit of the subject. Jennifer calls her style “impressionistic realism.” All subjects are fair game as long as they have beautiful light and drama. Oil paint is mostly applied “alla prima,” or wet into wet; the mixing of paints that takes place on the canvas and palette creates complex and rich colors. 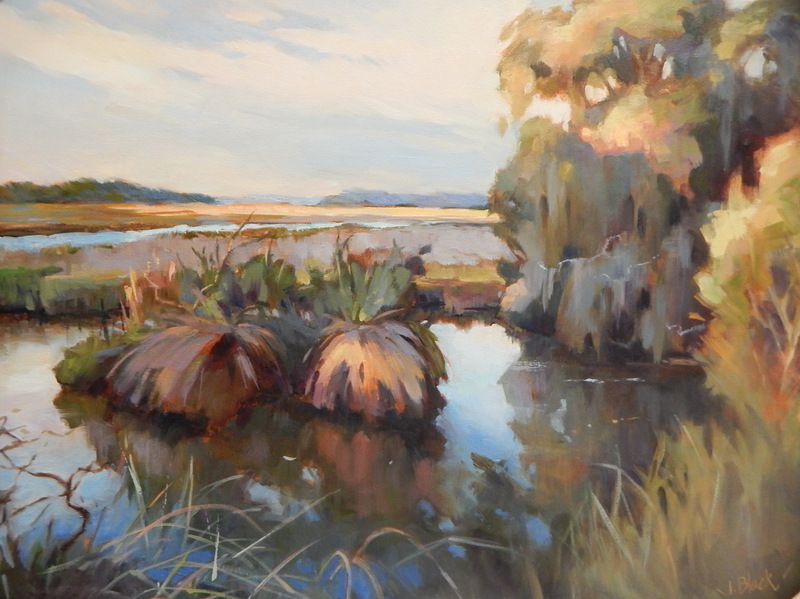 Her paintings come to life in her studio on the Ashley River marsh.